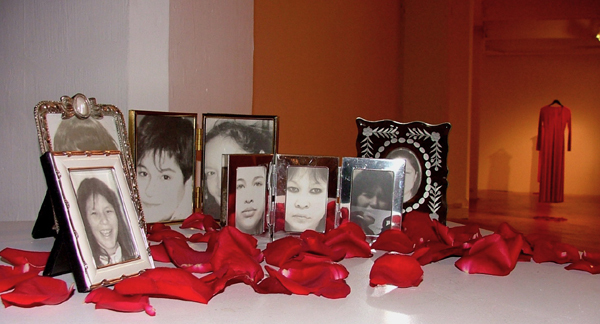 There is no turning a blind eye to the fact that young Indigenous woman in Canada are five times more likely to have their life ended by violent death. Métis artist Jaime Black has created a project that may just elevate the awareness of that fact and bring some comfort to the families of the missing Aboriginal women throughout Indian Country. Red Dresses, simply put, can make a huge statement. The red dress is often worn to turn heads and make a woman feel like she’s on top of the world, and Black’s artistic use of them should really turn a lot of heads. Red, she explained, is the representation of the woman of the red nation, and life blood; the woman’s ability to give life. As an artist who seems to be defined by her interest in projects of activitism, with previous smaller scale political drawings made for magazines like Horizon, Black feels that art has something to lend to politics. Black said the media has played its part in creating a negative response to the sensitive issue, and she hopes that through an art exhibit such as this one she can turn this response around. Black also hopes the project will allow people to see that there is support for the issue. Black believes that education will be a way to take a stand against such government inaction on the files of the murdered and missing. And although there is no direct link from the REDress Project to the justice system, her art exhibit can work to further encourage the education of all people. 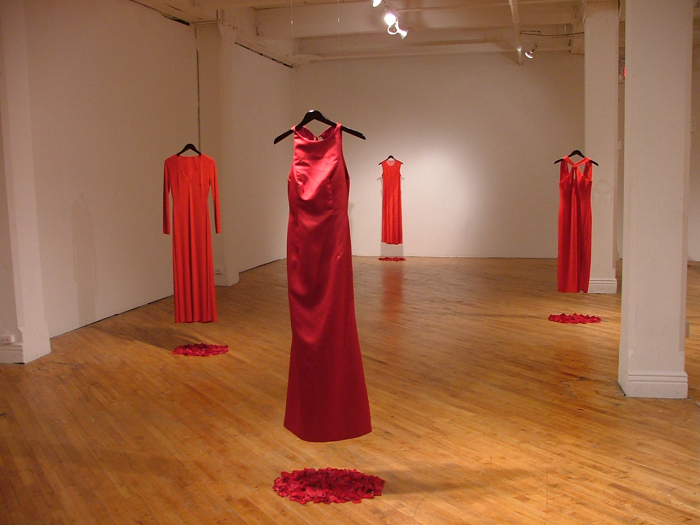 The idea of the hanging red dresses is not the only important statement in the project. The process to collect these dresses is just as important, said Black. Black would also like to create a documentary that would not showcase her and give Aboriginal women a public face.